One of the best Hawaiian selection of Cordyline. 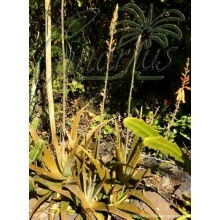 It is a large, tall plant, up to 2-4 m tall. Leaves are wide, 30-50 cm long, shiny, glossy, deep burgundy with a few green stripes. 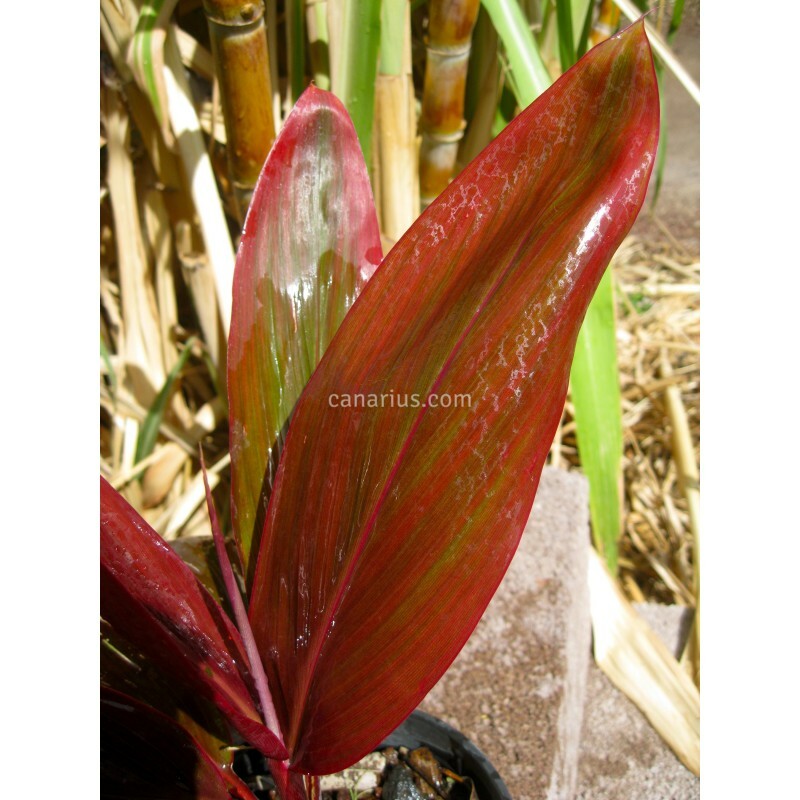 This is one of the best Hawaiian selection of Cordyline fruticosa. 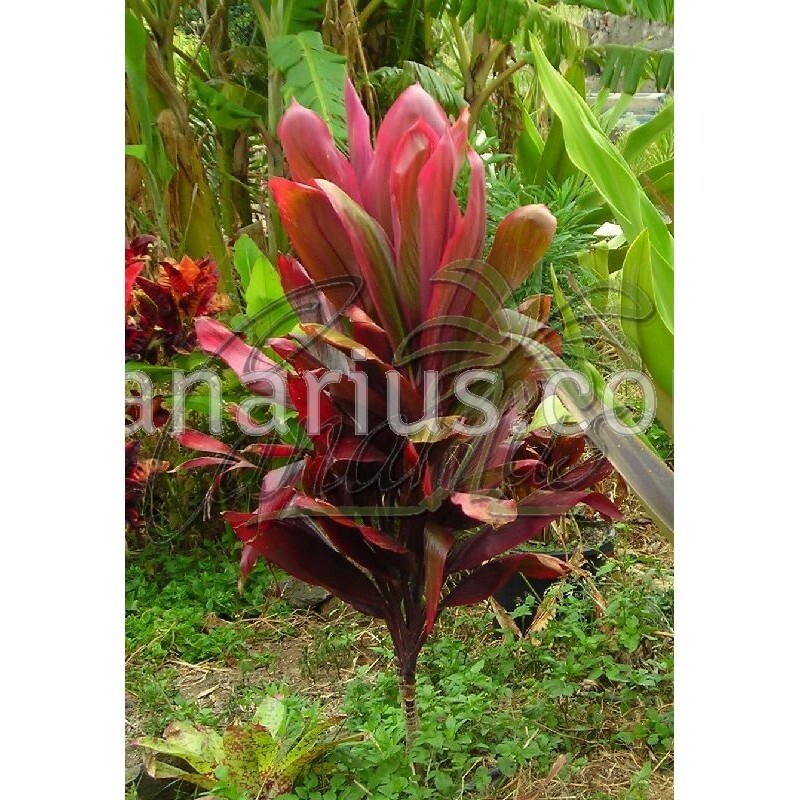 Cordyline Wild Flame is a large, tall plant, up to 2-4 m tall. Leaves are wide, 30-40 cm long, shiny, glossy, deep burgundy with very little green. Flowers and fruits are very attractive. Inflorescences grow as pink sprays of burgundy stalks and yellow flowers, and fruits are round, beautiful and glossy red and last for about 2 months on the plant. This plant grows tall, with thick roots. It is more robust than other cultivars. Some people call it simply Cordyline fruticosa Rubra or Cordyline fruticosa Red, but Wild Flame is the name used at the collection at Lyon Arboretum in Hawaii. As all cordylines, it can be kept low by pruning or air layering the shoots that become too tall. 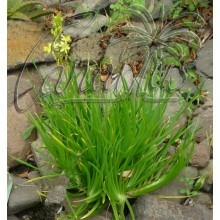 It will sprout new shoots from the base or from the cut. 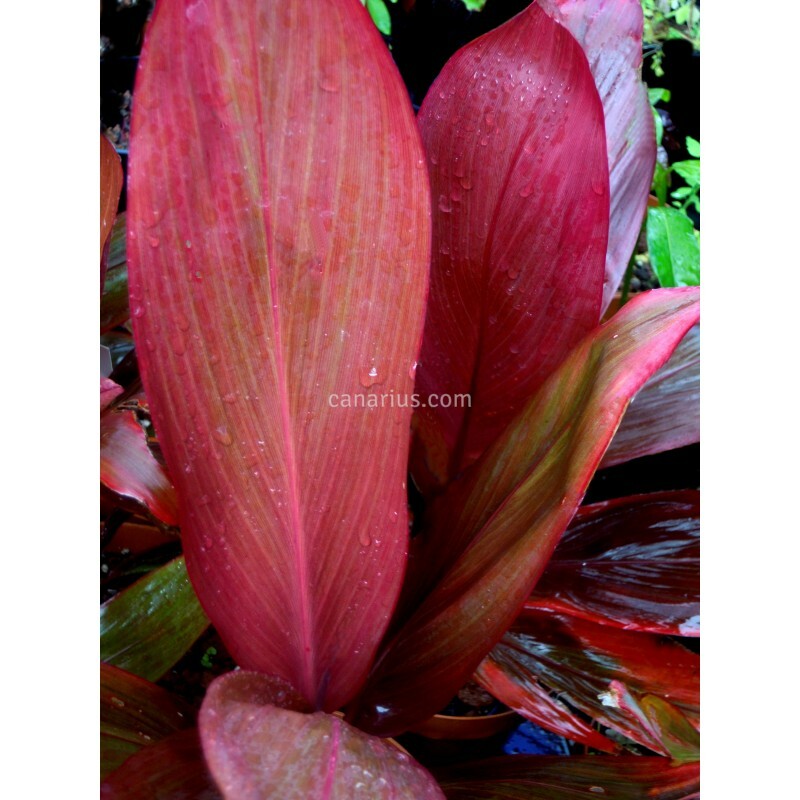 Cordyline fruticosa can grow indoors as a house plant, but these Hawaiian selections will also be perfect in the tropical or subtropical garden. They can take cool temperatures but will be damaged or killed by frost. 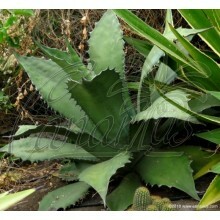 The plant we offer is about 20-30 cm tall and it is about 1 year old from cutting. 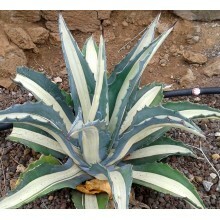 It is grown in a pot of about 10-12 cm.